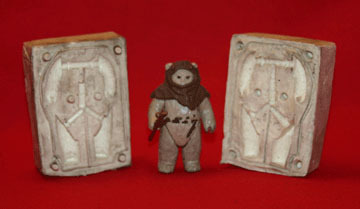 The silicone mold seen here was used to produce hardcopy limbs for the Argentinian Top Toys Osito Ewok (Chief Chirpa) action figure. A production carded example of this figure may be viewed here. 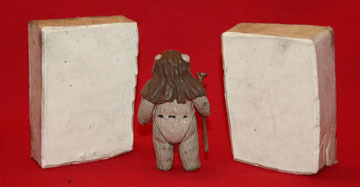 Additionally, the matching torso mold is also showcased on the Archive. It's pretty neat to see that a prototype originally used in Argentina now resides with Wayne, a collector who lives in Canada!